Landing pages refer to the product pages, service pages, ecommerce pages or other conversion pages that marketers direct prospects toward in search and content marketing campaigns. They are generally aimed at providing information and encouraging site visitors to take desired actions. Landing pages can be used to define or explain concepts, products or services that are core to a business. Within content and conversion marketing campaigns, landing pages may serve as the final selling points for a business. Well-written landing pages are critical to a website’s web marketing. With so many businesses using Google AdWords for PPC, the creation of landing pages of a high quality and obvious relevance to paid search ads is extremely important. As a business’ quality score increases, the cost of its PPC campaigns will diminish and landing page quality impacts ad position. For more, see Google’s AdWords Help article on how quality score is used. As companies look to improve organic search traffic as part of SEO campaigns, landing pages provide opportunities to build information around core keywords as well as substantial inbound linking possibilities. Whether a business is using news content marketing, white paper marketing or another form of content, deep linking to keyword and product landing pages can make it easy to highlight these pages to search crawlers (while also directing traffic to conversion-friendly content and helping to increase the amount of time a visitor spends on a website). Each keyword a business hopes to rank for in search results should have a corresponding landing page to boost traffic, improve site quality and encourage conversion. Feature relevant and original content. 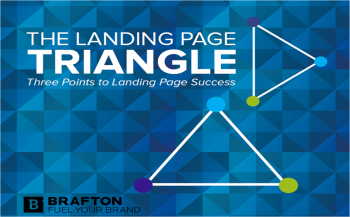 In terms of producing engaging and actionable landing pages, the pages should clearly demonstrate motivations for a purchase or other conversion. Moreover, the design of the page is equally important. Visually appealing pages that include well-placed and clearly marked calls to action as well as links to other relevant information, products and services can encourage transactions.